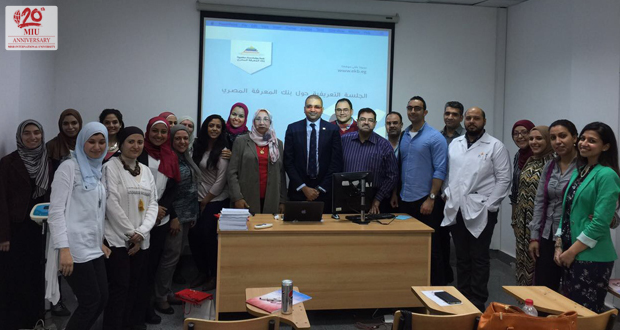 The Staff Development Committee of the Faculty of Oral and Dental Medicine organized an Egyptian Knowledge Bank Workshop on Thursday 30 March 2017. 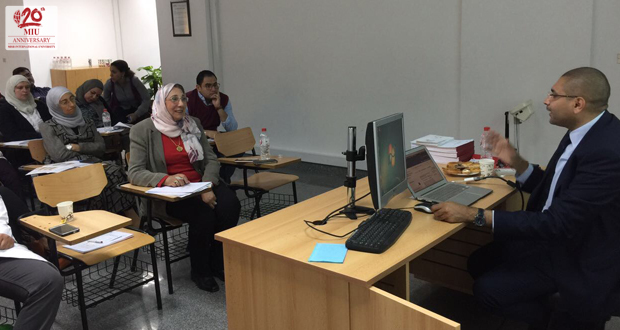 The workshop was conducted by Mr. Mahmoud Dawood. A Total of 22 staff members and teaching assistants attended the workshop. 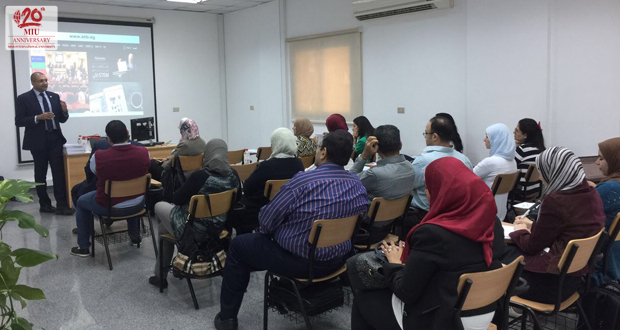 The focus of the workshop was an introduction to the Egyptian Knowledge Bank, its purpose and how to use it as well as how to retrieve published papers and how to write references .The recommendations were to increase the number of workshops and to add a practical part. 68.2% of the attendees were highly satisfied with the workshop and 31.2% were satisfied.